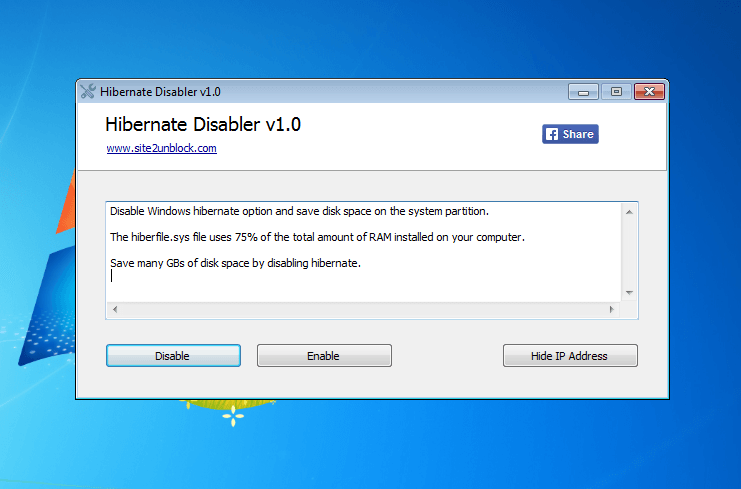 Hibernate Disabler is a very simple Windows OS software that helps you to disable (or enable) hibernate option. Hibernation is a power-saving state available mainly on laptops, infact some desktops or all-in-one computers may not have hibernate option. In a nutshell, hibernation copies your open documents and programs on your hard disk, not in memory, and more precisely on the C:\hiberfil.sys file. For your information, that file uses 75% of the total amount of RAM installed on your computer and by disabling hibernate you can save a lot of GBs of space, since the file hiberfil.sys will be removed. This program works on Windows 7, 8, 8.1, 10 (32\64-bit). Simple Interface, Just Click the Button "Disable" or "Enable"
Why you need a VPN ?